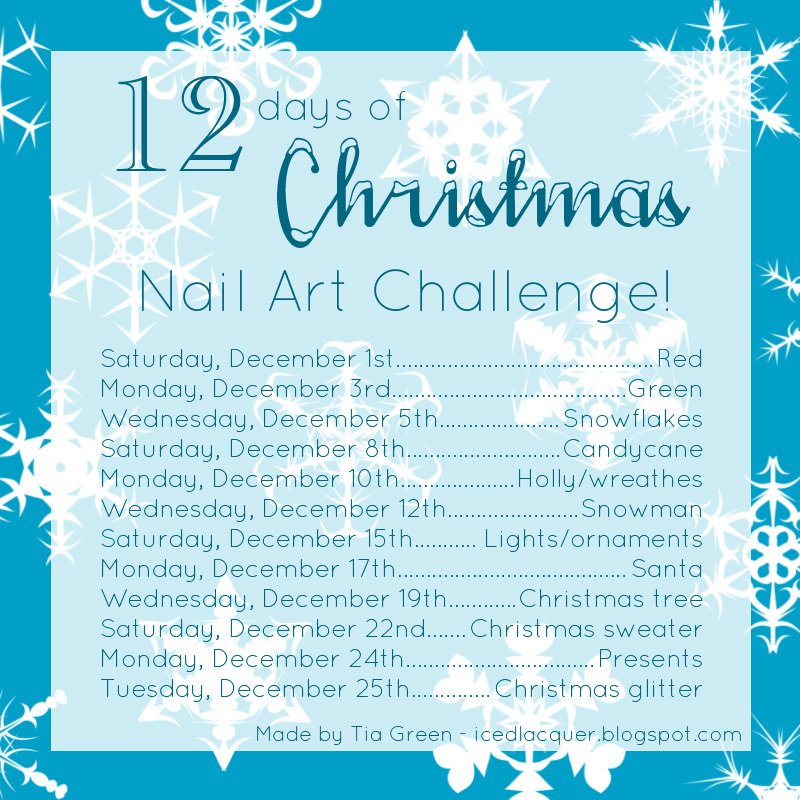 12 Days of Christmas Challenge Days 8 and 9! I'm cheating and combining two days with this post! Those include Monday and Wednesday this week, which were Santa and Christmas trees. Alllllright. On my thumb I have Sally Hansen "Going Green" and topped it with KBShimmer "Candy Cane Crush." On my pointer, I freehanded a little Santa face. On my middle finger I have Going Green again but topped with Model City Polish "O Christmas Tree." 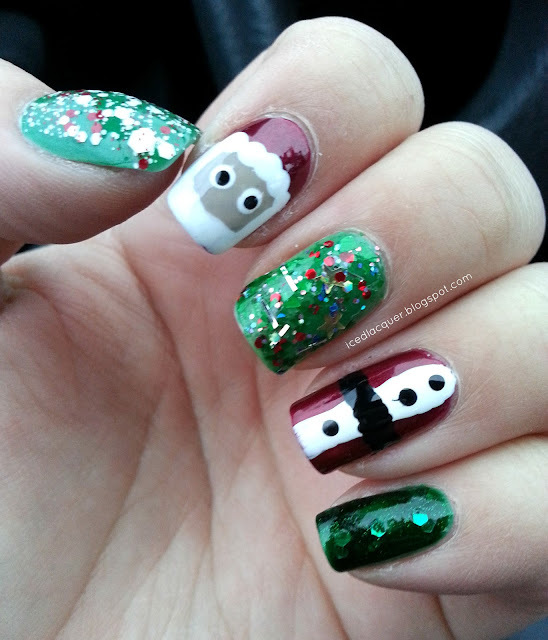 My ring finger has a freehanded little Santa suit. And lastly, my pinky is Layla Ceramic Effect #54.